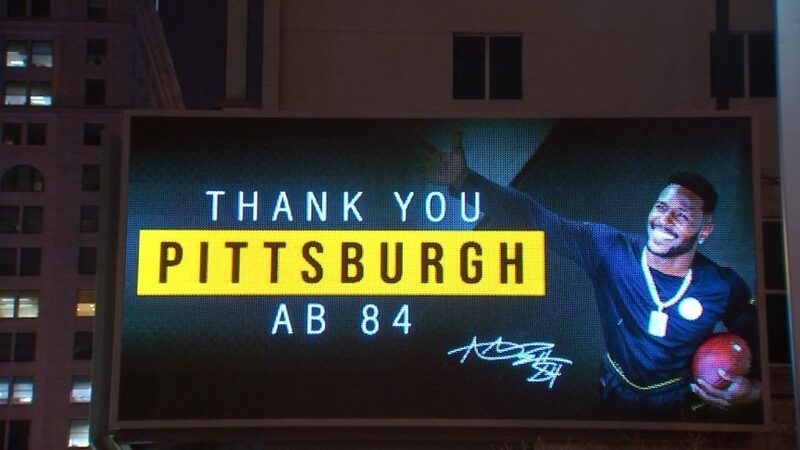 Brown’s good-bye gesture – after nine seasons and 74 touchdowns in Pittsburgh – is the latest example of the sports thank-you billboard. 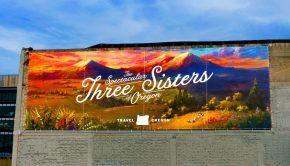 Athletes’ expression of thanks on billboards is part of a complex mix of loyalty and departure. Dwyane Wade thanks Heat fans in Miami. 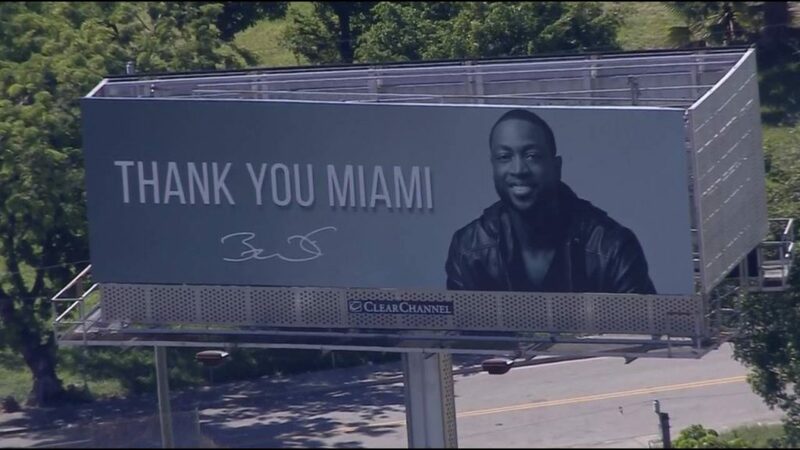 After a messy divorce from the Miami Heat, all-star guard Dwyane Wade thanked fans in Miami with a billboard along I-395 near American Airlines Arena. Jason Taylor posted a thank-you billboard after 15 seasons in the National Football League (13 seasons with Miami). DelVecchio called it a classy move by a great defensive end. 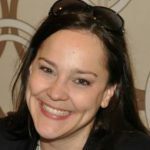 When Philadelphia Phillies catcher Carlos Ruiz was traded to the Dodgers, his agent arranged an emotional message seen by thousands of motorists. “So happy fans like the billboards! 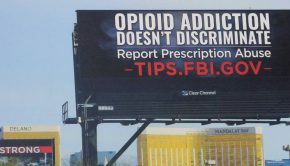 Carlos chose the pic, he and I penned the message, and Interstate Outdoor Advertising was awesome with design and locations,” tweeted agent Marc Kligman in September 2016. 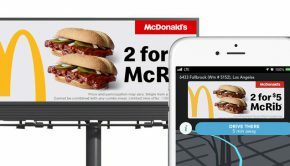 After four years with the Cowboys, running back DeMarco Murray bought a billboard in downtown Dallas to thank fans in 2015. Defensive end Vinny Curry won the 2018 Super Bowl with the Philadelphia Eagles. When Curry signed with Tampa Bay in the offseason, he expressed appreciation to “Eagles Nation” on a billboard in Philly with team colors. 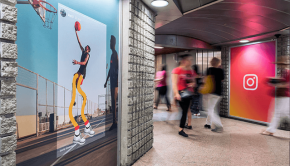 Athletes’ messages on billboards highlight a close connection between social media and OOH media. When wide receiver Brian Hartline signed with the Cleveland Browns after six seasons in Miami, he posted his “Fins Up” thank-you billboard on twitter. Last week Clemson linebacker Kendall Joseph tweeted his excitement after a congrats bulletin appeared in his hometown Belton, SC.